The ’08-’09 Wild pulled off a seeded upset in this series, but the two teams could not be more evenly matched. The team stats were almost identical between the two sides. 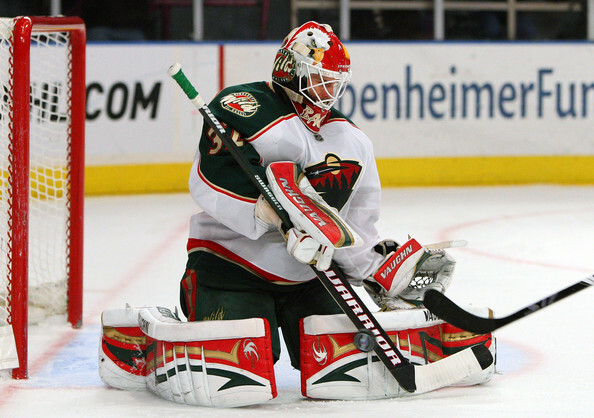 The ’08-’09 Wild won because Niklas Backstrom outplayed his counterpart Mike Smith. Backstrom posted a 2.33 GAA and a .929 SV% with a shutout in Game 3. Captain Mikko Koivu led the ’08-’09 Wild offensively with five goals and two assists for seven points, including an overtime game-winning goal in Game 1. Koivu was followed closely behind by forwards Owen Nolan, Antti Miettinen, Eric Belanger and Andrew Brunette who all posted six points, with Miettinen scoring the most goals (3) and Belanger posting the most assists (5) out of the four of them. Mike Smith played well, but could not match Backstrom save for save in this series. He posted a 3.33 GAA and a .896 SV% over the six games. Offensively, the ’11-’12 Coyotes were led by veteran Ray Whitney who posted one goal and five assists for six points. Defenseman Keith Yandle and winger Radim Vrbata were the team’s leading goal scorer’s with three, with Vrbata scoring a game-winning goal in the third period of Game 2. Winger Mikkel Boedker posted two goals and one assists for three points, including an overtime game-winner in Game 4. Now, the 35th-seeded ’08-’09 Minnesota Wild advance to the 2nd Round to face a division rival, the 3rd-seeded ’07-’08 Detroit Red Wings. Up next in the 1st Round is a matchup between the 19th-seeded ’88-’89 Calgary Flames and the 46th-seeded ’19-’10 Quebec Bulldogs. This entry was posted in 1st Round, Ultimate NHL Playoff and tagged 1st Round, Andrew Brunette, Antti Miettinen, Eric Belanger, Keith Yandle, Mike Smith, Mikkel Boedker, Mikko Koivu, Minnesota Wild, Niklas Backstrom, Owen Nolan, Phoenix Coyotes, Radim Vrbata, Ray Whitney, Ultimate NHL Playoff. Bookmark the permalink.